To identify the gears, tooth shape that ensures optimal gearing quality indicators is a crucial design problem. The authors suggest a new optimization synthesis concept based on the determination of an optimized meshing line to address this issue. The synthesis algorithm including its key and the largest (as concerns calculations) blocks is described in the article. The article introduces derivation of formulae for determination of the tooth profiles with a known meshing line. According to the formulae, profiles for various types of meshing lines (a straight line, a curve, etc.) were obtained. The conclusions were made, and further fields for research were determined. 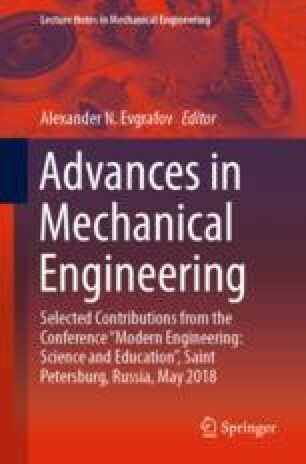 This work was supported by grant (project N9.6355.2017/БЧ) of government order of Ministry of education and science of Russia Federation for the period 2017–2019 in Industrial University of Tyumen.